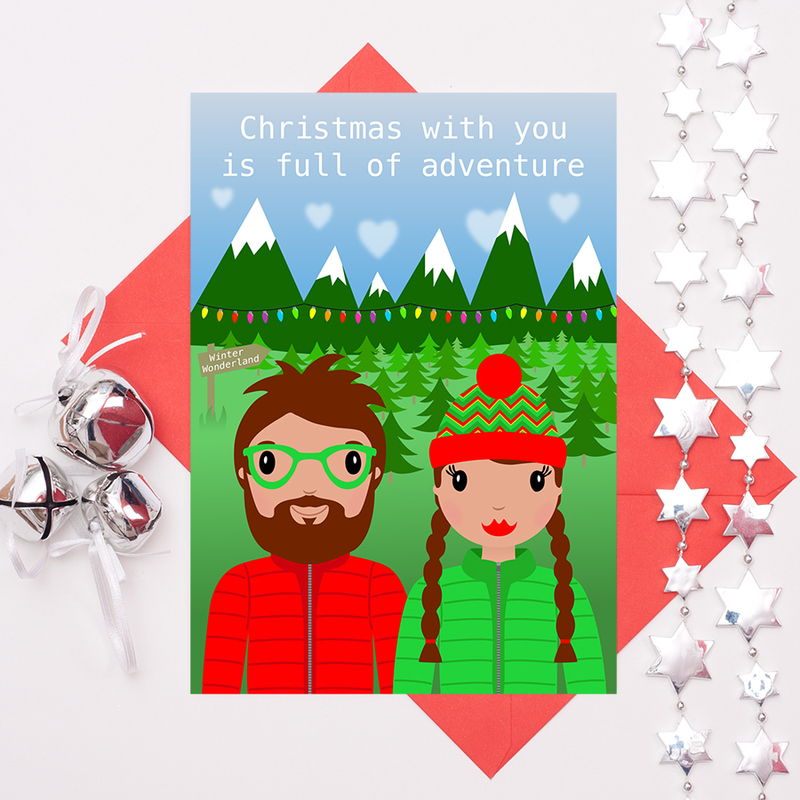 This adventure romantic Christmas card is a fantastic choice for rock climbers or adventurers everywhere. Brilliant to let your partner know how much you are looking forward to spending Christmas with them. 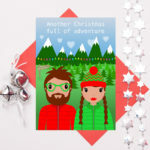 The design features a beardy man wearing glasses and a cute girl wearing a bobble hat and plaits in her hair. In the background there is a beautiful scene of mountains and trees, complete with colourful Christmas fairy lights. 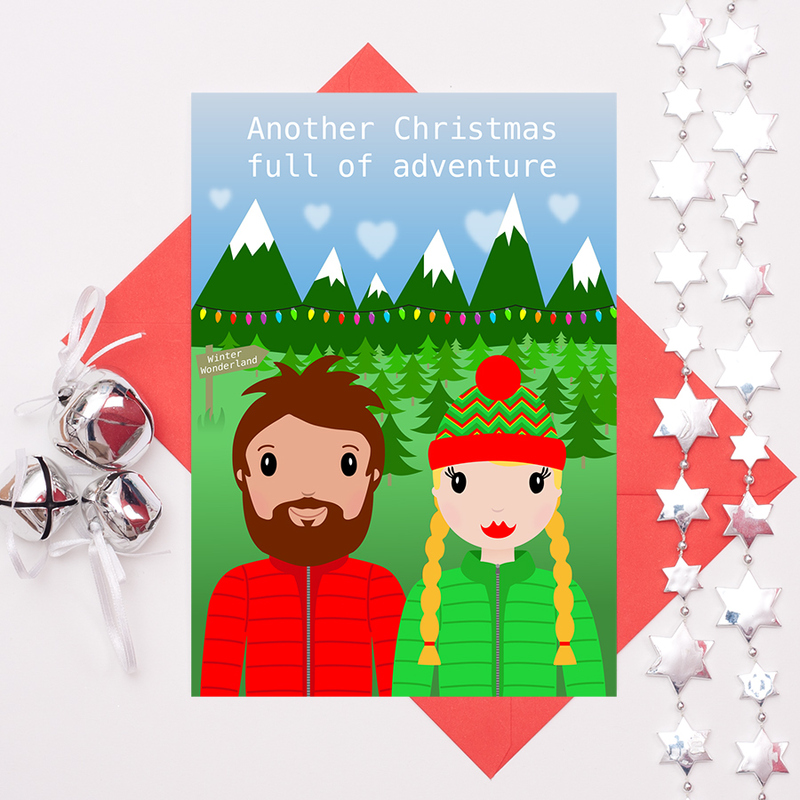 There is a choice of two phrases for this card; ‘Another Christmas full of adventure’ or ‘Christmas with you is full of adventure’. This card is available in A6 and A5 size. The A5 size can be personalised by changing the characters. 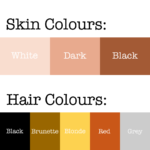 You can choose to alter their skin and hair colours and also remove the glasses or beard. 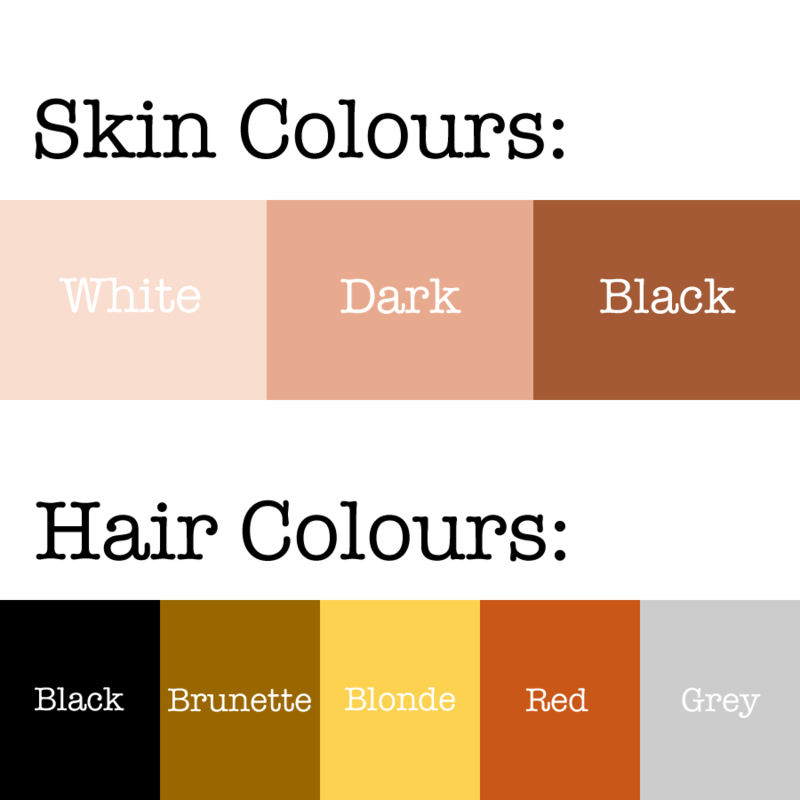 Please take a look at the product image which shows the different skin and hair colour options available. Then fill in your requirements (including details of beards and glasses) and any other requests you may have, in the ‘Special Notes & Requests’ box. Any questions, just contact me. The card is blank inside for your own special message. Be the first to review “Adventure Romantic Christmas Card” Click here to cancel reply.